Last Sunday for OGC’s 22nd anniversary I preached a message on Jeremiah 29:1-14 called Our City, Our Mission. You can listen to the audio here. In verse seven of that passage the prophet tells the exiles from Judah living in Babylon to seek the welfare of the city to which Yahweh has sent them. The word for welfare is the Hebrew word shalom. It often gets translated by the English word peace. The word flourishing captures well the comprehensive nature of the term. 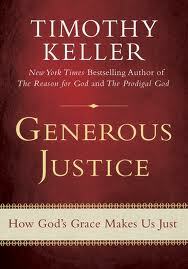 In his book, Generous Justice: How God’s Grace Makes Us Just, Tim Keller shares an example of a radical form of shalom-seeking that illustrates a serious commitment to this ethic within a community. It’s a bit long but worth the read. Indeed, what had happened was that an entire community had disadvantaged itself en masse for the sake of a minority. Instead of making the nonhearing minority learn to read lips, the whole hearing majority learned signing. All the hearing became bilingual, so deaf people were able to enter into full social participation. 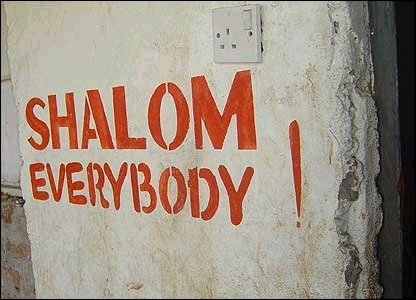 As a result of “doing justice” (disadvantaging themselves) the majority “experienced shalom”–it included people in the social fabric who in other places would have fallen through it. “When they had socials or anything up in Chilmark, why, everybody would go and they [the deaf] enjoyed it, just as much as anybody did. They used to have fun–we all did….They were part of the crowd, they were accepted. They were fishermen and farmers and everything else….Sometimes, if there were more deaf people than hearing there, everyone would speak sign language–just to be polite, you know.” Deafness as a “handicap” largely disappeared. Perhaps the most interesting aspect of Croce’s research was the revelation of how hearing people had their own communication abilities enhanced. They found many uses for signing besides communication with the deaf. Children signed to one another during sermons in church or behind a teacher’s back at school. Neighbors could sign to one another over distances in a field or even through a spyglass telescope. One woman remembers how her father would be able to stand on a windy cliff and sign his intentions to fishermen below. Another remembers how sick people who could not speak were able to sign to make their needs known. In other words, the “disadvantage” that the hearing Vineyarders assumed–the effort and trouble to learn another language–turned out to be for their benefit after all. Their new abilities made life easier and more productive. They changed their culture in order to include an otherwise disadvantaged minority but in the process made themselves and their society richer. Martha’s Vineyard was a unique situation. However, in every time and culture, the principle holds. The strong must disadvantage themselves for the weak, the majority for the minority, or the community frays and the fabric breaks. This sounds a great deal to me like 2 Corinthians 8:9. For you know the grace of our Lord Jesus Christ, that though he was rich, yet for your sake he became poor, so that you by his poverty might become rich. The Mega-strong disadvantaged Himself in the ultimate way for the mega-weak that we might become mega-rich in spiritual blessings. I know of no other motivation that will suffice for seeking the welfare of one’s city whether on steroids or any other degree of disadvantaging. Who Should Read "Crazy Busy?" For my latest blog post reviewing Kevin DeYoung’s new book click here. Note: this poem was delivered as an announcement on Sunday morning to promote the TLC Walk for Life. No matter how short and no matter how tall. Who find themselves now in a pregnancy. Many of whom have never been under a steeple. To give life to their child, and to parent or choose adoption. Are in quite a tight position. They can’t say a word, not even a tittle. They can’t fight for themselves because they’re so little. They’re unborn babies, and they need your assistance. They’re up against a bad, mean resistance. They’re under attack because they’re unborn and labeled a burden. Some don’t see they’re special, and like them, a person. For a person’s a person, no matter how small. OGC works with True Life in a wonderful tradition. On March 24th we’ll take a grand expedition. And walk we will with all of our might. You can sponsor a walker or come walk yourself. Lace up those sneakers sitting up on that shelf. Bring the whole family: mom, dad, brothers, sisters. We’ll all walk for life: kids, ladies and misters. Parents can walk while toddlers toddle. Strollers can stroll while we strut, jog and waddle. There’s a prize! Oh, a prize with a great legacy. The Sneaker of Silver could be our award! A treasure so grand, no church could afford. Now I urge you, my friend, to stand up to the task. If you want to know more, then come find me and ask. Sign up at the table as you leave here today. That a person’s a person, no matter how small. Somebody handed me a postcard last Sunday with this picture on it. Needless to say, that got my attention. It’s time to leave our beautiful churches and stand in the streets and cry out with wisdom. We CAN change public opinion about abortion in our region! As we pray for our government to uphold life, we have a responsibility in our own region to be a witness. After all, abortions are not happening in the Supreme Court building, they happen in our neighborhoods! The church is required to be the conscience of America. Let’s start in our own backyards. This is a call to action! On May 7, thousands will gather in silent prayer from 10am-12pm, covering every abortion center in Florida. We will lay aside our denominational differences and preferences to be the demonstration of justice for those who have no voice. We will come as a silent force with one message: LIFE. Turns out the All Women’s Health Center at 431 Maitland Ave, Altamonte Springs, just north of our meeting location, is one of the targeted abortion clinics. As one might expect, the blogosphere is alive and well about someone who isn’t. I refer, of course, to the death of Osama bin Laden. The flurry of activity on this score, some of it excellent (see Justin Taylor for example), gave me pause about piling on to the discussion. Obviously, I gave in. Blame it in part on yesterday’s message in John 12:34-36, The Parting Plea of the Public Christ. Two billion inhabitants of the planet earth have never heard the blessed gospel of the glorious God, the good news of Jesus Christ, the light of the world, come to live a perfect life and die a substitutionary death on behalf of undeserving sinners, so that they might know forgiveness, have credited to their spiritual account the 100% righteousness of Christ, and receive the gift of eternal life. I don’t know for sure, but I suspect Osama bin Laden was one of them. More than likely he never even had a chance to walk in the light that the darkness might not overtake him, as it most surely did given the acts of evil he perpetrated. Oh how grateful I am, who except for the grace of God may well have gone the way of bin Laden, for the mercies of God which opened my eyes to my rebellious heart, and brought me out of the domain of darkness into the kingdom of His beloved Son, in whom we have redemption, the forgiveness of sins (Colossians 1:13-14). If He hadn’t shown me such mercy, how easily the same darkness, to one degree or another, could have overtaken me. I put before you this serious consideration, that you are at present favored with the Light of God, but you are only favored with it for a certain term. Do not reckon upon always having it, for the Light may be removed from you. My dear Hearer, the day may come when you will have to go away from this country and be found far off in the bush of Australia, or the backwoods of America. Or you may even, in this country, be located where you will not be able to hear the Gospel, for what you will hear will not be the Gospel, and you will be obliged to confess that it is not! Therefore, while you have the Light of God, remember that it is a favorable season for your decision for Christ. The day may come, as I said before, when the voice that has thrilled you, again and again, and that wakes the echoes of your soul’s most secret chambers, shall be silent in death. The time may come when, although your minister and you, yourself, are still left in the same place, yet, so far as you are concerned, the Holy Spirit will be gone, and so the Light will have departed from you. Take heed, I beseech you, lest it really be so, and use the Light while you have it. Can we who by virtue of our union with Christ gained the privileged and responsible identity of sons of light see this man’s death in yet another light? Does it not call us to double and triple our efforts to shine like stars (Philippians 2:14-16) in bringing the good news to those near and far with gospel works and words? Lord, shine your light in our hearts regarding this state of affairs and more that we might look beyond the obvious, the superficial, the carnal, the political, that we might see with the spiritually discerning eyes of the gospel. Tomorrow, March 27, at 9 AM at Lake Eola in downtown Orlando, people from all over the city will gather for the annual “Walk for Life” hosted by True Life Choice, a crisis pregnancy ministry. True Life Choice is a mission in active obedience to Jesus Christ that saves unborn babies and their families from the consequences of abortion by: Equipping people involved in crisis pregnancies to make life-affirming choices; Healing people suffering from post-abortion stress to find healing; Encouraging unmarried people to embrace sexual purity; and communicating the good news of salvation through Jesus Christ. OGC has long supported this strategic ministry and participates every year in the walk, their principal fund raising event of the year. Come and join us on a walk just like this one. You’ll enjoy a complementary breakfast, get some exercise, and meet some great people. Make a pledge on behalf of one of the walkers from OGC or give a donation of your own. Also, the offering in our joint Good Friday service with Faith Baptist Church will go entirely to the support of this fine organization. I hope to see you at Lake Eola first thing tomorrow morning! What are we to make of the tragedy at a local theme park this week? A seasoned trainer of killer whales got dragged under water by her ponytale by a male Orca known for a history of living up to its name. The debate in the news remains alarmingly this-worldly in terms of animal rights, conservation, ad nauseum. As always, the Scripture speaks profoundly on an altogether different level. Leviathan is the English translator’s best guess for a difficult-to-translate Hebrew word often rendered as a large sea animal. Orcas fit the bill. They are among the hugest of the dolphin species weighing up to six tons and measuring up to the length of a school bus. Males are particularly large and aggressive. Tilikum serves the SeaWorld community for his stud services and large-splash-making capabilities – a crowd favorite indeed. Until this week when he took a 40 year old handler so very easily to her watery grave. If you seek to see the world through heavenly-minded eyes, the lesson seems plain. Who dares to trifle with a killer whale? No one is so fierce that he dares to stir him up. Ms. Brancheau, I am certain, dared not in the slightest to stir up the mighty beast floating in the pool before her. Even so, her proximity to creation’s majesty cost her nothing less than her very life. Word to the wise. Word to the wiser still. Who then is he/she who can stand before God? Let the question sink in. Who then is he/she who can stand before God? None. I say it again, none. If dear Dawn (and my heart goes out to her grieving family and friends) could not stand poolside by Leviathan and escape with her life, who among us can pretend to put God, who owns the whole of heaven, including Orcas, great white sharks, lumbering hippos, and the rest of His wondrous and fearsome creation, in the dock and claim some legitimate argument with His sovereign administrations in their life for which we might better respond, He gives and takes away; blessed be the name of the Lord (Job 1:21). May we not miss the boat along with the masses debating the pros and cons of killer whales consigned to captivity as if the only things we should consider lie along an animal rights plane and no other. Far more can and should result from this tragedy than that. Let nature and its grandeur speak to us internally rebuking our sinful pride. Let it speak to us vertically recalibrating our hearing and seeing such that we hear and see Him and thus, along with Job, despise ourselves and repent in dust and ashes (Job 42:5-6).